In windsurfing we offer a wide range of beginner and advanced courses; we have the right program also for professionals - and those who want to become one. Our 4-day windsurf beginner course (suitable for children over 28kg) in Malcesine on Lake Garda, which can also be completed with the VDWS Basic license, has already brought many people on the board. In small groups you will get to know how to safely handle the equipment - step by step. Most of the lesson takes place on the water, but every lesson requires a bit of theory to consolidate the practice. One course unit is 3 hours a day (including theory and wetsuit change). Already have windsurfing experience? In small groups, you can quickly learn what may not have worked recently. Lake Garda offers perfect wind conditions for every newcomer here in Malcesine. The constant Ora, the well-known wind from the South, sets in time for the start of our course and lasts until the late afternoon. Do not be afraid to venture back onto the board or learn something new! One course unit is 2.5 hours per day (including theory and wetsuit change). Our private lessons are best suited to learning or improving a particular technique if you have already gained windsurfing experience. Learn: harness in strong winds, the power jibe or a water start. 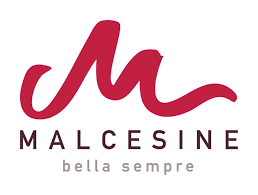 To reserve a private lesson in Malcesine, please contact us in time by e-mail. You can book the courses directly online. A prior reservation online or by mail is required in any case. Wetsuit, shoes and life jacket are included in the price. Bring bathing suits and towel and do not forget the sunscreen for the head and skin.